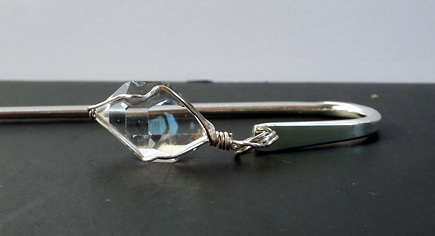 A quality double terminated Herkimer Diamond with excellent clarity dangles from a bookmark. 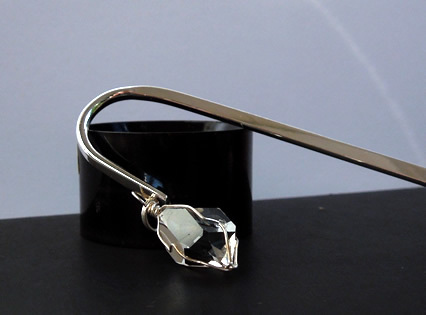 The 16.5x11.5x9.5 mm / 10+ ct. is wrapped in .999 fine sterling silver wire. 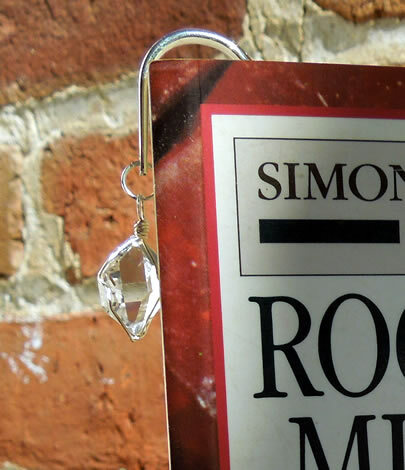 The 6" hook style bookmark is silver plated. 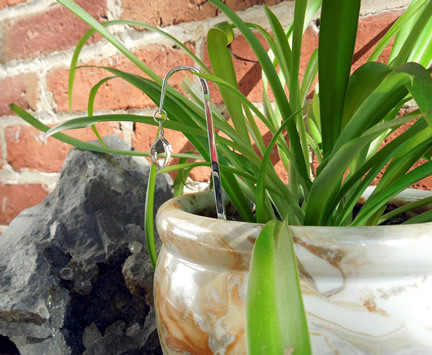 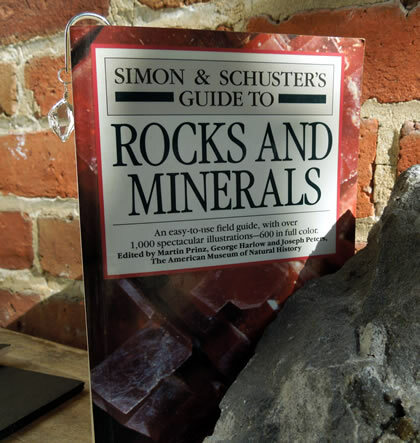 A special gift for the avid reader in your life, or the avid plant lover ! 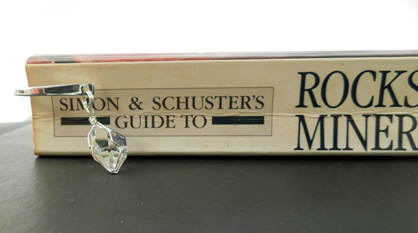 Herkimer Diamond bookmark or plant accessory.